The last couple of years have seen a HUGE increase in the profile of essential oils. In your social media world, you most likely know at least one or two friends who sell them. And the brands they’re selling are almost 100% either Young Living or Doterra. You’ve probably even been invited to a social event where you can buy essential oils, if you choose. I have LOTS and use them in my clinic to diffuse stressors that respond to the sense of smell. They make your home smell nice, they can reduce stress and bring you back into alignment with the natural world. All good things. But… there’s a worrying trend of people who are not trained aromatherapists offering advice how to use essential oils that are NOT considered safe practices. Some people have very negative attitudes about MLM’s. Personally I think if you want to be a distributor and believe in the products, go for it. Essential oil consumers have a choice about whether or not to buy from MLM’s but I don’t think it’s fair to be cranky at those who choose to sell them, simply because you don’t like MLM’s. Because whenever a new fad hits that people are crazy about, that’s exactly the point… people get a little crazy. Which means we don’t always think clearly, yeah? So it’s always a good exercise to broaden your perspective to see if there’s anything else to learn or consider. Towards the end of this article is some recommended reading and other links. Scroll down if you want that info first! As a Kinesiologist, I use essential oils in my clinic. But mostly as something to smell, and that’s it. Essential oils are brilliant at accessing parts of the brain such as the amygdala. The right essential oil at the right time can create a massive shift emotionally and energetically. I used to be a distributor for one of the two MLMs mentioned above, but I haven’t for several years. I’m not anti-MLM, anti-Doterra or Young Living, but I am anti-BS. Truth is important when you’re asking people to pay good money for a product or service. In my tool kit, I have and use both Young Living and Doterra oils, as well as several other brands. I’m all for the appropriate use of essential oils. LOVE them! Everyone is doing it! It’s become a trend. A FOMO thing. Which always causes me to sit back a little and observe. MLM brands are excessively expensive and it’s not just because the oils are of the highest quality – there’s the entire upstream of people who get a commission from every sale. Plus, the high price is also used as a point of difference – i.e. They must be the best because they cost the most. The only information many distributors have about essential oils is what they are taught by the company they’re a distributor for. Most distributors are NOT qualified aromatherapists, although some might be. Some MLM marketing messages encourage untrained distributors to tell people it’s safe to ingest their oils. With no training or knowledge of that person’s health history, and no dosage control. This is a BIG no-no. A very small number of essential oils are safe to apply to your skin topically without dilution. This is also not taught to distributors. The ONLY oils you really hear about on the internet are MLM oils. That’s a problem. The aromatherapy industry is thousands of years old, and good quality essential oils have been around for a long time. There can be a lot of defensiveness from MLM distributors any time someone writes an article like this. I promise you, I’m not criticising you or your oils business. However, have you ever asked yourself WHY you feel so defensive? What’s behind your passionate zeal to defend the product you sell? What if it really isn’t all the things the marketing language promises? Are you interested to find out, or not? It’s absolutely your right to buy high-priced essential oils from Young Living or Doterra. I have some from each brand, and they are definitely beautiful oils. I may even buy them again once the bottles run out. BUT I also have other just as lovely organic essential oils from other brands that do not cost as much. They exist, and I like to support them, too. You don’t need to pay top dollar to get a top quality essential oil product. Essential oils are a concentrated essence of a plant or flower or tree. They often contain as a result, concentrated volatile components. Less is more. Don’t over-do it ever. Do NOT ingest essential oils unless prescribed by a clinical aromatherapist you’re working with. Do NOT buy in to “health advice” from essential oil distributors who are not also trained clinical aromatherapists. Even if they tell you things like “We can’t claim this legally, but…” Honestly, that is not proof of accurate information. As a Kinesiologist, I use muscle testing to access the information we need to know to help with whatever you came in to see me about. Muscle testing is a form of bio-feedback that allows your body and sub-conscious to communicate and be heard. More than once, I’ve had clients who didn’t mention to me they’d started ingesting essential oils, BUT the first thing their body wanted to communicate was to PLEASE STOP. When I asked what it is that they need to stop doing, the info came out about their use of essential oils and the muscle testing confirmed that was the thing to stop. Which is really interesting, right? Listen to your very intelligent bodies, everyone! Essential oils are meant to be used in moderation, not all the time. 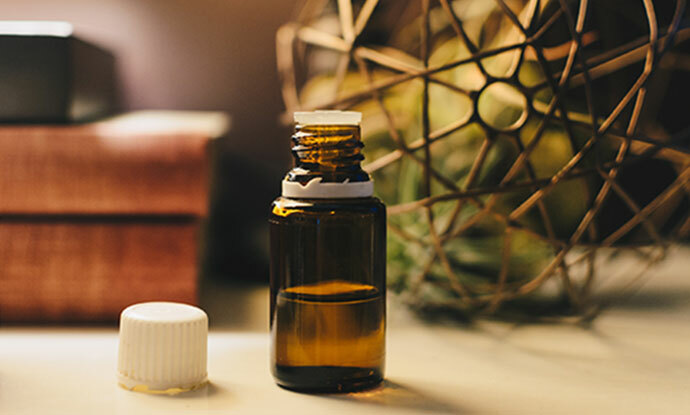 There are some very handy blog posts already written about essential oils in terms of what’s safe and what isn’t, and a bit of myth-busting to boot. They’ve been written by aromatherpists and naturopaths – people who’ve done the training and do know what they’re talking about. Want some options for buying organic essential oils that aren’t MLM brand? Here’s a few… personally I use Miracle Botanicals but haven’t tried the others so far. Michelle Marie McGrath – I use her oils and love them! What’s true and what isn’t? Do your own research, and if in doubt then please don’t go ahead. My own approach is to experiment, which is why I have a range of essential oil brands in my clinic. I like to test what works, what doesn’t, value for money and so on. So please, be curious. Have fun, and above all else, be safe in your use of oils!